Earn a $10.00 Watkins Gift Certificate by placing a minimum $150.00 product order in your first 10 days. Getting a fast start by ordering products to display, use as samples, sell, or use yourself is an important first step. Earn a $40.00 Watkins Gift Certificate by advancing to Bronze Consultant in your first or second commission period. How do you advance? 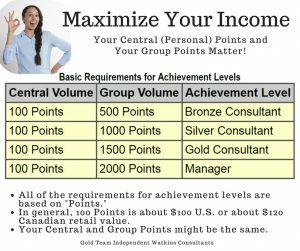 Achieve 500 Groups Points. 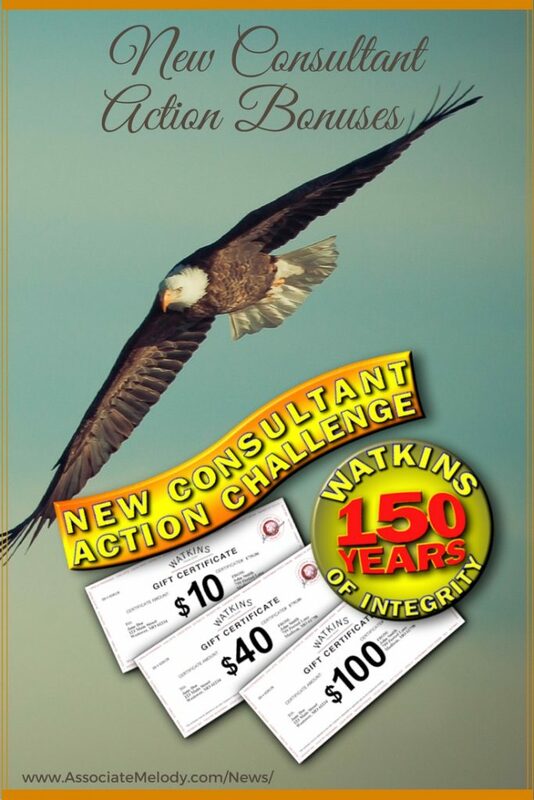 Earn a $100.00 Watkins Gift Certificate by advancing to Silver Consultant in your first or second commission period. How do you advance to Silver? Achieve 1000 Groups Points. Everything we purchase from Watkins has a points value, including products and business materials like catalogs, order forms, banners, table cloths etc. Points for each item are the same in both Canada and the United States and points don’t change even when the price is lower on sale. Point values aren’t exactly the same as dollars but they’re close. Your personal volume is your central points, when you sponsor others their points are added to yours to determine your group points. Your central and group points can be exactly the same. How do I advance or get a promotion to the next level? You advance or promote to a Consultant achievement level by selling or ordering products and business materials you need. Plus sponsoring other people can help you reach higher levels because it’s based on your group’s points. When you reach the required point levels you get a promotion and a higher pay level! It might seem complicated at first glance, really the hardest part is getting in the habit of checking your stats. 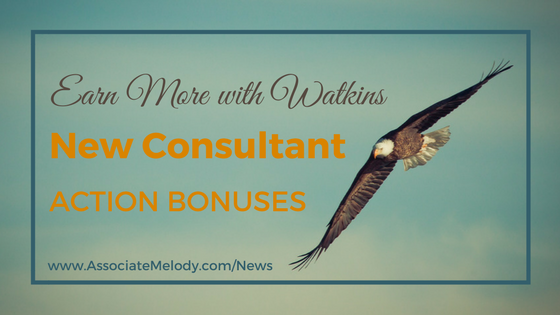 I’d love to help you get started and earn up to $150.00 more on top of your commission and bonuses with Watkins New Consultant Action Bonuses! Are You New Here and Need More Information? 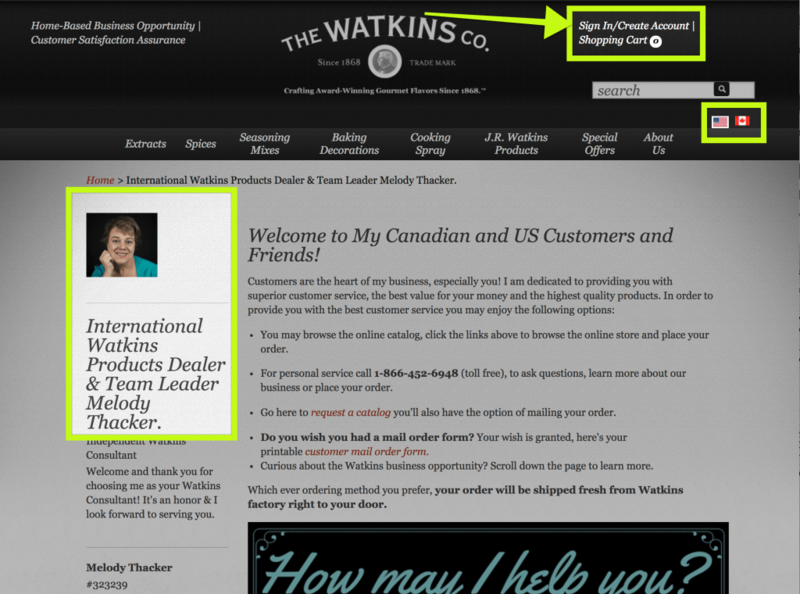 I’d love to send you all the free details about becoming a Watkins Consultant and a catalog with all of J.R. Watkins natural products.